Investing In Beauty ... Click to view featured article! Nejad Rugs Weaves Cultures Together ... view article! Magnificent investment quality Persian Oriental Antique Rugs, Area Rugs & Rug Runners. Magnificent investment quality Antique Persian Oriental Rugs. Investment-quality Antique Caucasian, Turkish, Chinese & Turkeman Rugs. Introducing magnificent investment quality new Persian Area Rugs. Magnificent Antique Rugs and Tapestries from the Nejad family private collection. Introducing our Signature Rug Collections . . . heirloom quality & Old World craftsmanship. Superior quality Signature Masterpiece hand-knotted rugs of 100% New Zealand wool pile - in traditional and transitional designs. Superb quality authentic hand-knotted Signature Heirloom - 100% wool pile Persian design area rugs at remarkable prices. Featuring a dense high quality hand-Knotted 100% Wool pile and authentic Persian design carpet. Beautiful yet very durable. The very finest in both quality and classic Persian rug design. Hand-knotted New Zealand semiworsted 100% wool pile. American Home Rug Collections . . . upscale traditional designs at remarkable prices. Expertly handmade 100% Wool rugs that feature gorgeous traditional and transitional designs at remarkable prices. Modern designs in popular colors at remarkable prices - Nejad's American Home Contemporary Rugs feature 100% Wool pile. Expertly hand-tufted, lush, velvety rugs featuring upscale traditional designs - at remarkable prices. Dense 100% Wool pile. The Premiere Collection offers superior quality hand-tufted wool & silk area rugs with classic Persian design at remarkable prices! One of A Kind hand made rugs from all over the world. A wide variety of styles, sizes and color palettes at remarkable low prices. One of A Kind hand made round rugs from all over the world in a wide range of sizes, color palettes and styles. Exceptional hand knotted magnificent Persian Tabriz design carpets featuring superior quality wool with pure silk highlights. Exquisite hard to find hand knotted Persian design carpets in very large room sizes - Classic overall design easily coordinates. Casual and contemporary designs in rich color and hand-woven extra lush pile - perfect for today's modern decorating styles. Artistic hand-woven modern designs in gorgeous rich color palettes, coordinated to compliment today's contemporary decors. Diversified program line of superior quality hand-knotted rugs designed to coordinate with today's best selling fabrics and wallpaper. Expertly hand-crafted using superior quality wool and silk - magnificent formal rug designs in gorgeous color palettes with luxurious pile. Tapestry woven rugs and wall hangings -timeless hand crafted elegance and exquisite beauty in the age old art of needlepoint. Exquisite beauty and charm in soft beautiful color palettes - skillfully hand knotted rugs of 100% wool pile and cotton warp and weft. Hand-knotted 100% Wool crafted into a luxuriously textured high-low pile - adding dimension to richly colored elegant motifs. Ocean elements and lush tropical fruit and fauna designed in gorgeous color palettes - perfect for a more relaxed interior. Geometric rug designs inspired by the natural beauty of the southwest featuring warm color palettes and thick dense 100% Wool pile. Add casual elegance to any room! Flat woven reversible rugs in stylish geometric patterns - made of rich earthy materials. A preview Nejad's extensive inventory of beautiful hand-woven Persian-design Oriental rug runners - for hallway or long spaces. The beauty, comfort and elegance of a Persian staircase runner custom-fitted and installed by Nejad - view before-after examples. Persian Oriental Rug sales and service. We serve Bucks County, Philadelphia, Princeton & Lehigh Valley. 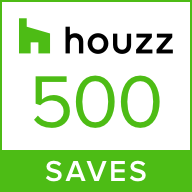 satisfaction by the Houzz community. ® Nejad rug designs are protected under U.S. and international copyright law.